Meet Hetty and Perkins the cat, a witch and her familiar. 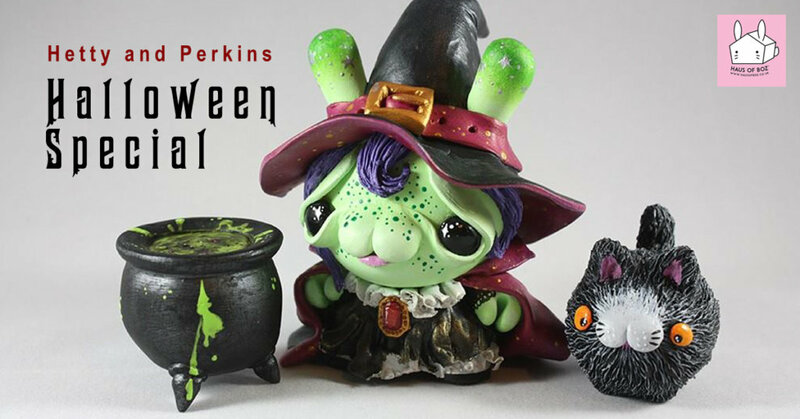 Another fantastic Halloween inspired custom dunny by Haus of Boz! Hetty the witch is brewing a vast cauldron of soup for you, with the help of her esteemed familiar, Perkins the cat. They’ve got the magic touch, but don’t worry, you’re more likely to receive a cuddle than a curse when they’re around! This is a custom 3 inch Kidrobot Dunny, and Litton, with sculpted parts, hand painted with acrylic and finished with a UV protective varnish and gloss. Follow Haus of Boz on Facebook and Instagram for more info about her latest releases.